This has been a MASSIVE year for my writing group, The Port Authority. In the past 12 months four of us have published new novels. FOUR. 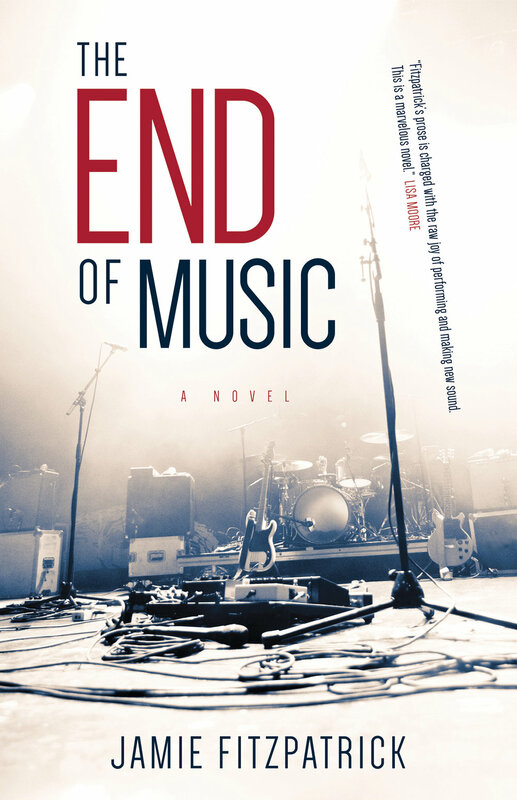 Jamie Fitzpatrick’s The End of Music just got a much-deserved and wonderful review in Malahat and our books are duking it out next February during NL Reads. Melissa Barbeau’s The Luminous Sea has been getting all kinds of lovely buzz and landing on nightstands across the country. Susan Sinnott’s bestselling novel, Catching the Light is a finalist for the White Pine Award. And long before all of this, we all, along with several other authors, including the talented Carrie Ivardi, published a short story collection called Racket. Susan, Carrie, Jamie, Melissa, and I will be reading from our work at Broken Books on Duckworth Street. If you’re in St. John’s on Tuesday, December 4th at 7:30pm, come by. It’s free and open to the public and we’d love to see you there. Today I fly to Toronto for the the Amazon First Novel Award ceremony. The other night Tom (Dr. Math) said: "I think you have a good shot at winning." To which I relied: "Not really. There are five other books." And he said: "Yes, 1 in 6. Those aren't bad odds." WHAT? The award is given out tomorrow, Tuesday, May 22 at the Toronto Reference Library (6:30pm). All six of us finalists will do short readings on stage and have a small Q&A session with host Shelagh Rogers. I really hope they allow us to go off stage when they announce the winner. Because it's agonizing enough waiting for that envelope get opened, I can't imagine having to go through that while facing an audience! Win or lose, the best part of these award ceremonies is always getting to know the other finalists. Becky Toyne wrote a piece about us in the Globe and Mail and I was really interested to see that we are all 35+. People! It is never, ever too late to write your first novel. Last week I went to the launch of a beautiful debut called Catching the Light. The author, Susan Sinnott, is in her 70s. We're in a writing group together so I've been reading Susan's work and watching her at it for the past few years. Her commitment to doing the work, to undoing and re-doing and writing and re-writing, it is truly inspiring. That perseverance is, as I've said before, the fundamental non-negotiable of being a writer. You can have it in your 20s. You can have it in your 70s. Late last summer the Newfoundland Quarterly approached my writing group, The Port Authority, with a challenge. Take an old headline "When Newfoundland Saved Canada" (found in an old issue of the magazine from 1949) and make it new. Could this curious statement prompt 500 fictional words? We were given free reign and five of us sharpened our pencils. The NQ online has been publishing each of our pieces this Spring and this week my story went live. Flash fiction is not my forte but this piece was a total joy to research and write. I'm pleased to share it and the fabulous accompanying illustration by the very talented Kevin Kendall. In my writing group we have a running joke that no matter what or whose piece I'm critiquing, my advice will always be to cut the last paragraph. I could have sworn it was something Hemingway said but now I can't seem to find the reference. So let's leave it at this: a wise writer once said we should all cut our last paragraphs. There is a tendency, often, to wax on for too long. Or, worse, to be anxious that the reader will not get it, will fail to properly understand the story. And then the writer, in a moment of weakness, crams a horrible summary at the end to explain the whole thing. No. Just erase all that stuff. The real ending is three sentences up. Well, this is exciting! On September 14 Breakwater Books is publishing Racket, a collection of short stories written (mostly) by my writing group, The Port Authority, and edited by our champion and guru (oh captain, my captain! ), Lisa Moore. This whole collection is her brain child, really. She had the idea, pitched it to Breakwater, and agreed to wrangle all our disparate pieces into something coherent. Isn't the cover spiffy? It's a riff on the Purity Hard Bread packaging, which seems appropriate. Port Authorities, Sailor's Grub etc. There are eleven stories and mine is the last one. They let me have the last word. How about that?